Kitchen Dog has now drawn the curtains on our production of RADIANT VERMIN, a show which in so many ways discusses the displacement of the homeless community for the sake of gentrification. While putting up this show, it was important to us to not only comment on homelessness in our art, but to commit to helping alleviate it here in our city. photo from @lamexmama on instagram. L to r: a casita triste, willie baronet of we are all homeless, artist giovanni valderas, robin craddock from austin street center, and tim johnson, director of radiant vermin. The most important thing we needed to do was listen. We started by hosting a post-show panel of local community leaders right in the thick of helping our Dallas homeless community, and grappling with gentrification. Giovanni Valderas (the artist behind Casita Triste), Willie Baronet (founder of We Are All Homeless and our featured artist in this production’s lobby), and Robin Craddock (a case manager at the Austin Street Shelter), joined us to discuss the show, how it relates to our Dallas community, and how we can help them in their fight to end homelessness or gentrification. We wanted to make sure we were engaging this issue outside of the theater as well, so Tina Parker and I took to the city to tour Vogel Alcove and Austin Street, and to meet with leaders at those organizations to see how we can help. Vogel Alcove is a daycare for kids facing homelessness. They serve children from six weeks old to five years year-round, and offer classes and engagement activities to older children during school breaks. We toured their beautiful facility, and were grateful for the thought and care that they offer the children they serve. From farm-to-table dining, thoughtful design and decoration, and plenty of outdoor space and nap time, Vogel Alcove really is a safe space for these kids to land. We learned a lot about the brain development of kids in crisis, the unique challenges they face at school and at home, and the immense variety of services Vogel Alcove provides these kids. After Vogel Alcove, we toured Austin Street Center, a facility holding about 400 people needing emergency housing. We visited on a rainy day and the shelter opened early to get as many people as they could out of the rain. Austin Street is really committed to their residents whether they are there for one night or several years, and provides so much more than a roof over their residents’ heads - they offer guidance in receiving an ID, medical check-ins, warm meals, long-term housing guidance, case management, entertainment, a safe place to store belongings… the list goes on and on. We learned that one of the major reasons people face homelessness is because of trauma - something like losing a job, a death in the family, or a lack of familial support - and that along with food, water, and money, one of the best things we can offer people with homelessness is human connection. We’ve already had some great conversations with these community leaders about unique ways Kitchen Dog can help them. Here are some ways you can help, too! Ways to help Austin Street: volunteer to bring meals (mostly needed on weekdays), donate gently used towels or clothing, donate toiletries (things like big shampoo bottles or soaps and feminine hygiene products), offer to perform for the residents as a monotony breaker. The following post is super delayed because of technical difficulties! Many of you may know that Kitchen Dog has been working on our permanent space. Well, that space will be in District 6, near the Design District North neighborhood. We at Kitchen Dog are passionate about not just plopping ourselves down in our new digs, but, rather, making sure that we are integrated into the community, and giving back to those who will be our neighbors. We figured there was no better way to learn about our new neighborhood than to attend a Neighborhood Association meeting for our nearby Design District North. So, on July 23rd, that’s exactly what we did. Artistic Director Tina Parker and I got to know the personalities and concerns of our nearby neighbors, and reconnect with Council Member Omar Narvaez (who I spoke with earlier this year with fellow Kitchen Dog Tim Johnson) over some great beer at Pegasus City Brewery. This neighborhood is really developing at a rapid rate. We learned about the local businesses, as well as how to utilize the 311 app to report community problems such as burned out street lights and potholes. We were then given the opportunity to introduce ourselves and the work Kitchen Dog will be doing in our permanent home, and asked how we could be of service to our neighbors. There was talk of possibly renting out our soundproof room to nearby photographers and videographers, as well as hosting community meetings. While our new space isn’t incorporated into any specific neighborhood yet, we are excited and inspired to serve our community, and look forward to collaborating with our neighbors to make Kitchen Dog a true town hall. As a side note, Pegasus City expressed their interest in being available to local artists for rehearsal space or staged readings! Take advantage, y’all! Last night, I had the pleasure of hosting a "Community Engagement Roundtable" - a temperature gauge for the work Dallas theaters are doing in the area of community engagement. It was a casual gathering with representatives from six other local theaters - Leah Harris from Dallas Theater Center, Jenni Stewart from Shakespeare Dallas, Parker Gray from Undermain, Drew Wall from Second Thought, Adam Adolfo from Bishop Arts Theatre Center, and Sid Curtis from Theatre 3 - which we used to discuss successes and challenges with each of our institutions' current community engagement programming. I personally learned a lot from this roundtable, and was grateful for the opportunity to share a space and fellowship with some of the city's most brilliant arts leaders and administrators. We discussed various topics including the importance of authentic relationship making, budget disparity, and the distinction between marketing and community engagement, as well as troubleshooting each others' questions in regards to their own programming, and community engagement as a whole. I felt it was important to host this roundtable for several reasons. One, because it is amazing that in this incredibly social, collaborative industry, we can be so isolated from each other. 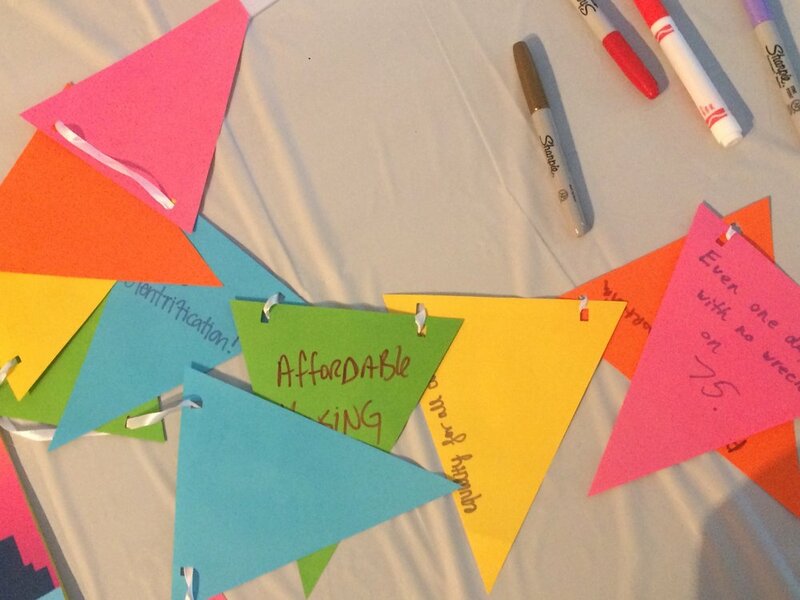 A lot of the feedback I got from last night's roundtable had to do with simply being validated and realizing others are experiencing similar challenges - how wonderful to feel a part of a much larger community (especially in community engagement work). This meeting also felt important because despite each Dallas theater's different aesthetic, budget, and schedule, I think we do have shared goals - keeping theatre alive, making theatre accessible, and using our art to benefit the whole in some way. I look forward to having more of these discussions, and was grateful for the honesty, generosity, and dialogue this roundtable allowed. For the POMPEII!! Lobby Display, it was important to me that, despite the nearly 2000 years of history we had to cover, the display still felt fun, inviting, and in the spirit of vaudeville. After discussing some ideas with director Cameron Cobb, and the writing team's dramaturg Vicki Cheatwood, we landed on the idea of bringing Ripley's Believe It or Not! silly facts into the lobby of TRAC. We pulled facts from Vaudeville history and Pompeii history, and put our own POMPEII!! stylistic spin on them, incorporating the tone of the show itself. We also wanted to keep our lobby as interactive as possible, so we created a photo challenge area, and a maze for audience members for audience members to try to escape. The photo area featured vaudeville and POMPEII! !-style props for audiences to put on and record themselves telling their best joke in (for those afraid of the funny we had a list of classic vaudeville jokes for them to try their hand at). Our maze asked the player to escape Pompeii before Mt. Vesuvius erupted; the POMPEII!! trick was that no matter which exit they took, it would result in the player's grisly death, with options including a sinkhole, random act of violence, or natural disaster. Oops! This was definitely one of our liveliest lobbies - scroll through the pictures below to see why. Next up: New Works Festival! So much of our work on this grant is about getting on the ground and meeting with members of our community who are already involved and engaged in our community so we can learn from them and grow with them. Last week, Kitchen Dog's Managing Director Tim Johnson and I were lucky to meet with City Council Member Omar Narvaez of District 6. We learned about the efforts already being made to bring art into this area, and how we might help, and we were connected to groups at the heart of this district already engaged with its development. I am excited to sit in on some of these meetings and learn how we can fit into our neighboring district, which is also the home of the new KDT facilities. We are excited to better serve our Dallas community, and we are learning how to do so one day at a time. 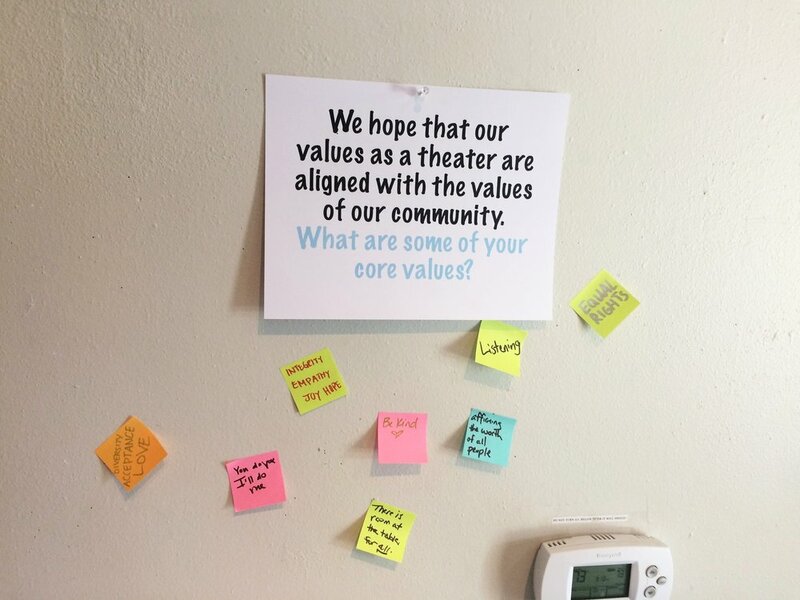 One way to word the intention of our "integrated dramaturgy" Bly Grant project is that we want to be able to read our community the same way we read a play. We should know who the key players are, understand every character's needs, attempt to meet them by the end of our work, and give them a chance to speak at the right moments. We had the perfect opportunity to bring our community into our theatre during the run of our world premiere vaudeville-musical, POMPEII!!. The Americanized word "vaudeville" can be traced to French roots meaning "voice of the city" or "worth of the city." In POMPEII!! we see various voices - a scientist, immigrants, African-Americans, women, and the literal messengers of the Gods - ignored as they try to relay an important message, a choice that ultimately destroys their civilization. We decided not to follow suit and instead bring in important Dallas community leaders to confront us with the information we need to stop our own wheel from spinning on and on into oblivion. Pulling on themes from the play, we decided to have a "Voice of Dallas Arts" and a "Voice of Dallas Ecology" panel. Our thoughtful, engaged, informative speakers gave us some great insight into the challenges within our community, and specific action items we can follow to keep our city vibrant and healthy. 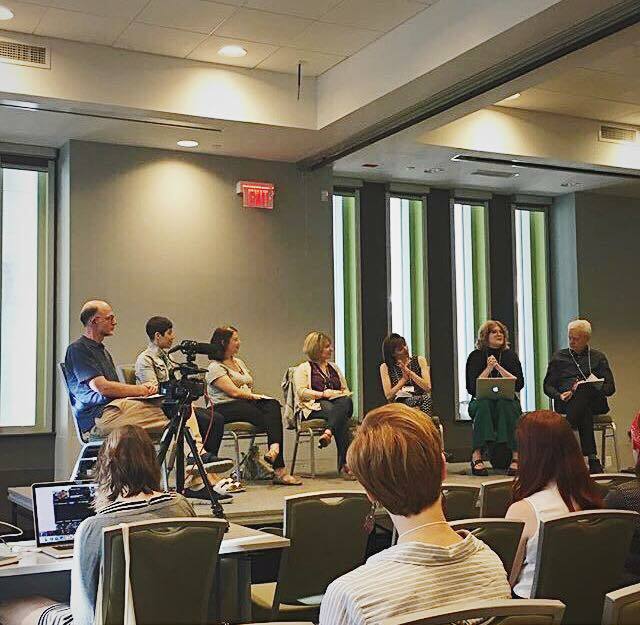 I am grateful to our panelists for spending time with us, and in case you missed them, have included their action steps, and links (bolded) to their resources and work below. - Be vocal about organizations and artists you love - spreading the word helps our community leaders know that Dallasites value the arts! 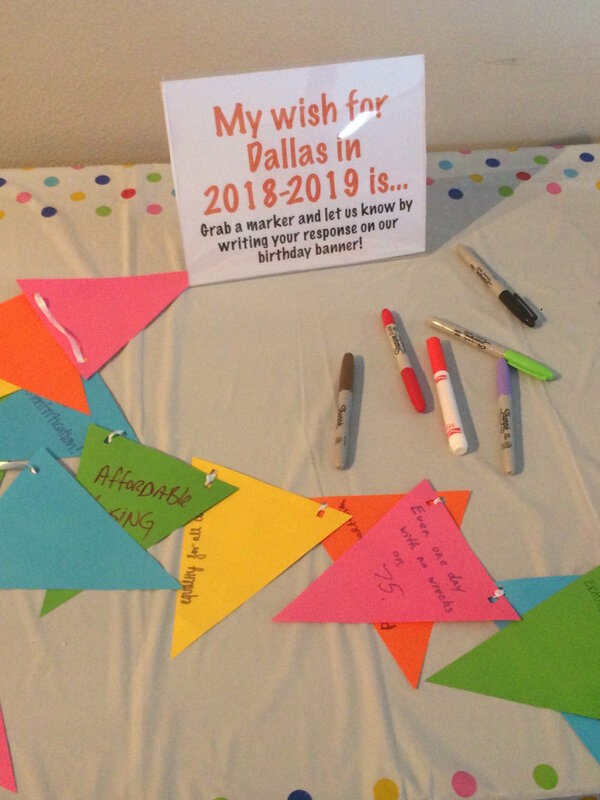 - Take community surveys, such as those provided by the Office of Cultural Affairs and the City of Dallas, and let them know you value the arts. These surveys directly impact funding! - Participate in local artist "community conversations" or "think tanks"
Bud Melton - Special Projects Manager, Halff Associates, Inc.
- Use public parks and urban trails more often. The more we use them, the more incentive there is for government funding. - Downwinders at Risk has an upcoming fundraiser to purchase an air quality monitor for Joppa, Dallas's only remaining Freedman's Township. - Provide feedback on Mobility 2045, a piece of legislature outlining plans for urban trails through 2045. This draft features major cuts to funding for some of Dallas's most successful green programs. If you have any additional resources to add to this list, would like more information, or if you have an idea about how Kitchen Dog can serve these areas, feel free to contact me at Haley@kitchendogtheater.org! Lobby displays are a major part of our Integrated Dramaturgy work because a good display levels the playing field for our audiences. By providing historical facts or biographical information about our playwrights, each display ensures that everyone walks into the house with the same level of education and context about the script, regardless of their circumstances outside of our theater. But rather than each display being just informational and didactic, Kitchen Dog puts an emphasis on making sure our displays are also interactive. The way an audience member interacts with our displays will change based on the needs of each show - sometimes you can touch, write on, or connect to social media on our displays - but the one constant is that we try to ensure our displays interact with each audience member's empathy and personal experiences. 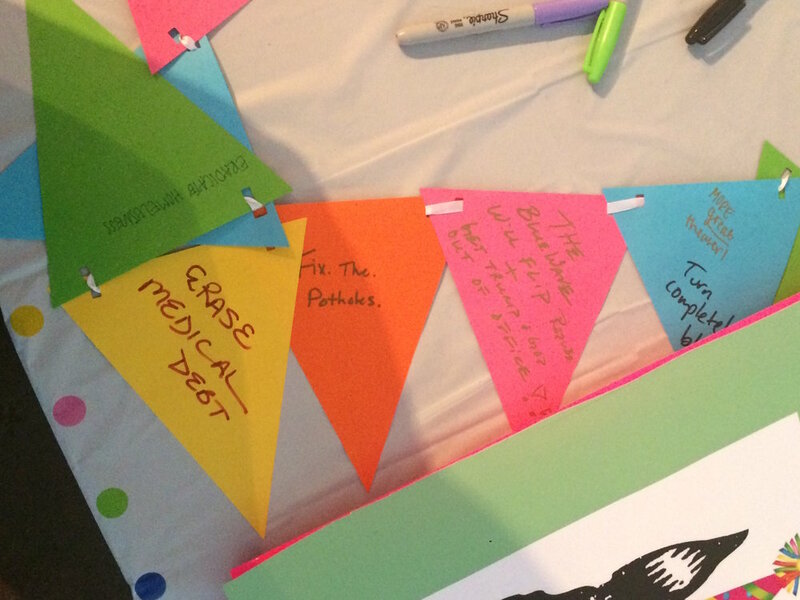 We want our displays to ask questions of our audiences, and help them draw connections between our shows, our city, and our world. For THE ROYALE lobby, I wanted to emphasize the burdens Jay Jackson carries into the ring - every time he boxes, he's not only fighting for glory, but he is fighting the outside pressures of systemic oppression, violent threats, and negative media attention. The display, "HEAVY WEIGHT. CHAMPION." displayed this tension by physically putting our audience members in the corner of an abstract boxing ring. I used two flats for the two sides of the ring, and displayed photos and text in lines to create the "ropes" on either side. In order for our audience members to look at the featured items posted on the "ring", they had to stand in the center, surrounded by the information on all sides, the way Jay might be. But, I was also inspired by playwright Marco Ramirez's quote about Jay: "The lead character is as much Jack Johnson as he is Jay-Z. He’s bombastic… he will be remembered - whether the establishment likes it or not." I wanted our audiences to recognize Jay's struggle, though depicted in 1905, as a struggle that is equally pertinent for modern Black moguls. So, our display also set up a visual comparison between Jay's Jim Crow America and our current world. The left side of the ring featured photos of historic Black icons, a timeline of racist legislation, and quotes by the real-life inspiration for the play's main character, Jack Johnson. The right side featured modern Black icons, a row of headlines attempting to tear down their successes, and modern quotes about their attempts to take the roles in society that are rightfully theirs. 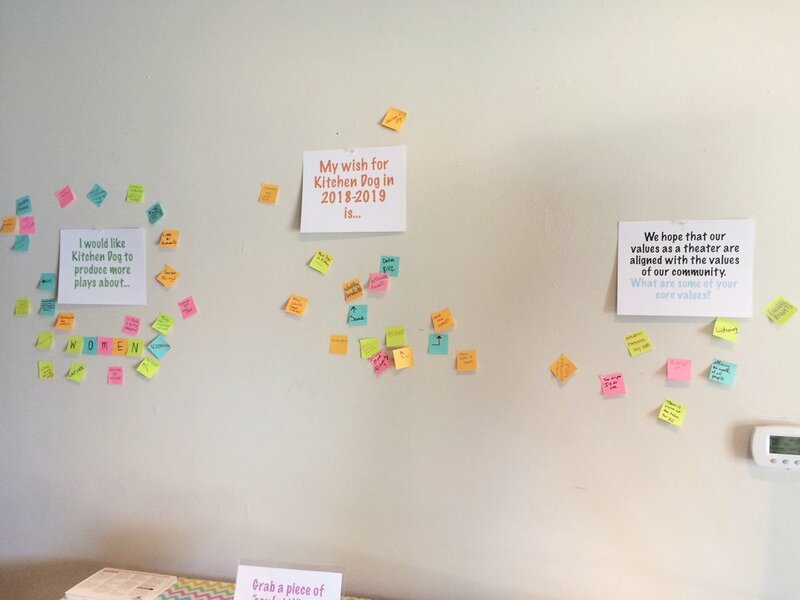 The display was a lot of work, and math (ugh), and sticky tack, but the conversations held in our lobby made it all worth it. Sad to see such a wonderful show close, but can't wait to get started on the next one. Check out photos of THE ROYALE's display below! THE RIGHT SIDE OF THE DISPLAY - THE "CONTEMPORARY" SIDE. Welcome to Kitchen Dog Theater's new blog, The Bly Blog. 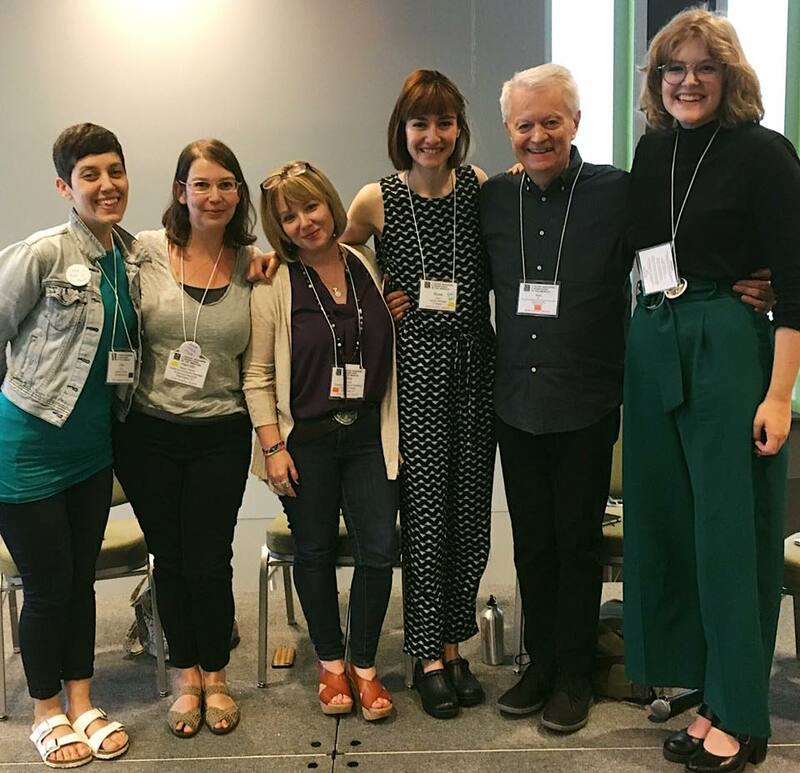 This blog exists to track and document our work on our recently awarded 2018 Bly Creative Capacity Grant, a grant given to us by the Literary Managers and Dramaturgs of the Americas with the intent of expanding the boundaries of the field of dramaturgy. I'm Haley Nelson, the co-recipient of that grant and thus the woman behind the blog. I've been at Kitchen Dog for a little over a year as the New Works Festival Co-Coordinator (evaluating script submissions, managing other readers and their evaluations, and helping us stay on deadline) and the Lobby Display Dramaturg (designing all of the displays you see in our lobby during pre-show). 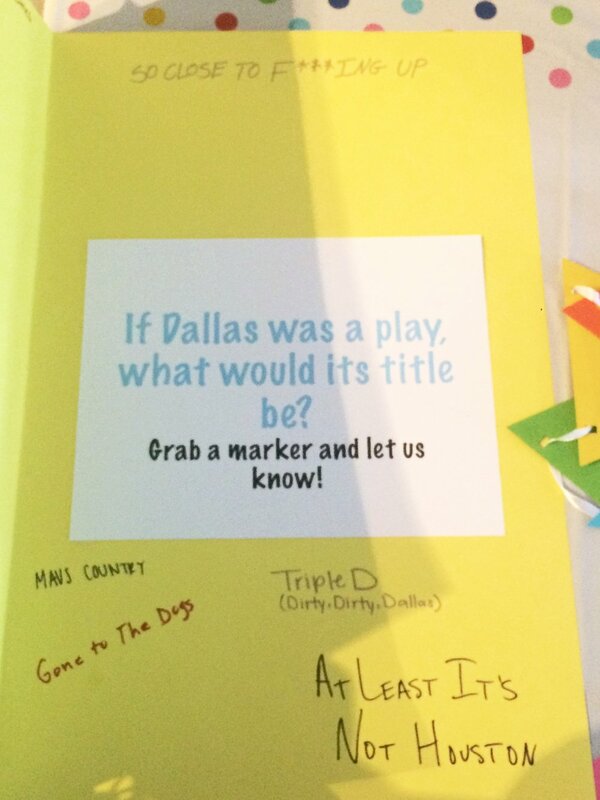 When I'm not at KDT, I'm working as the dramaturg for Dallas Theater Center's commission from playwright Kenny Finkle and on Artstillery's devised piece DIRTY TURK, teaching tiny tots a variety of subjects across the D-FW, or watching Documentary Now! (that Grey Gardens episode though!!). So that word has been thrown out here a few times now - "dramaturg." What is that? Great question. I think the easiest explanation for a dramaturg is "an advocate for words," and I say that because we have so, so many jobs. The LMDA website outlines it pretty thoroughly here, but, to summarize, we work with theatrical words. We outline a play's history so audiences better understand them, we help playwrights assemble them into new plays, we help directors get to the the bottom and heart and point of them, and we promote them to people who can put them on stage. We also - and this is at the heart of our grant project - try to get them out into the community, and get the community in to hear them, because we believe in their power to unite, change, educate and inspire the people around us. Our Bly Creative Capacity Grant is interested in reaffirming Kitchen Dog's mission of exploring and promoting social justice, community, and identity through theater by making sure our audiences are as diverse as our city. We have some programs in place already to drive these goals forward, but our progress just isn't fast enough, or impactful enough, for our standards yet. So, KDT has put me on the ground to figure out, quite simply, how we can do better. It'll take a lot of work, and a lot of failure, and questions, and gas mileage, and hard looks, but we are really excited to take on this challenge. We're doing it through what we're calling "Integrated Dramaturgy": using all of the principles of textual dramaturgy (an understanding of story, plot, action and character) and applying what we learn from our scripts to our community, trying to build bridges between the world of the play and our very real world here in Dallas. To do this, I'll be interviewing community leaders, building lobby displays, making surveys, getting on the ground and out into all corners of our massive city, and engaging with people who might need our stories most but might otherwise not have access to them and figuring out how to get them here! We're hoping that in doing some of this legwork, we'll make some useful discoveries we can apply to our theater, and share with others in our community near and far. Wish us luck, and you're welcome to follow along. If you think you have a way to help, or have a group that you feel needs to see one of our current productions, email me at Haley@kitchendogtheater.org. And if you see a silver station wagon zooming down your street, give me a friendly wave - I bet I'll see you around soon!